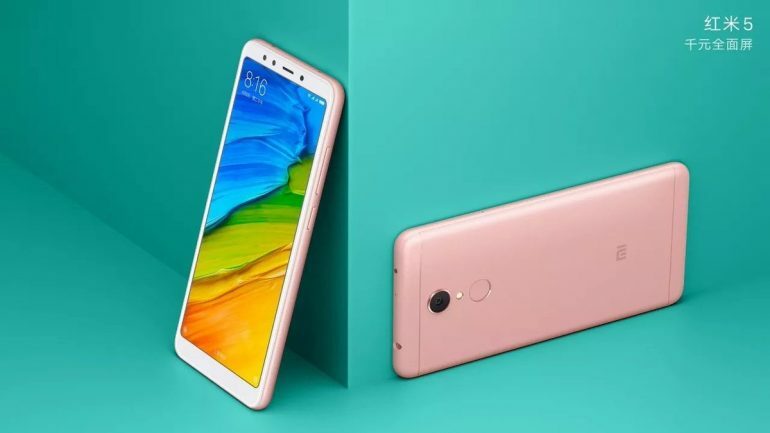 It’s been a while Xiaomi has launched Redmi 5 and Redmi 5 Plus in China. The Global Mi Fans are eagerly waiting for the global release of the full display devices. According to the latest leaks, Redmi 5 is going to be released globally in mid-February. According to the tipster, the device will have support for LTE Band 20. However, the leaks do not suggest the countries but it’s likely to surface more information about the global launch in the coming weeks. The Redmi 5 is considered a successor of Redmi 4 with considerable improvements. The device sports a 5.7” 1440×720 display with an 18:9 aspect ratio. It houses octa-core processor clocked at 1.8GHz Snapdragon 450 SoC along with Adreno 506 GPU as a powerhouse on board. 2GB+16GB and 3GB+32GB are the two storage variants of Redmi 5. All storage version may run on Android Nougat based MIUI 9 ROM and backed by a 3300mAh battery. Redmi 5 carries a 12-megapixel rear camera with a 1.25-micron pixel sensor and flash. The front houses a 5MP camera with soft selfie module. It features beautiful AI 3.0. In terms of pricing, the Redmi 5 2+32GB version was priced price at CNY 799 (~$120) while the 3GB+32GB model was priced at CNY 899 (~$135).